[Victoria, Australia] For any of my friends traveling to Melbourne, I would tell them to leave at least a day or two aside for the Great Ocean Road. A magnificent sight and a must-visit. 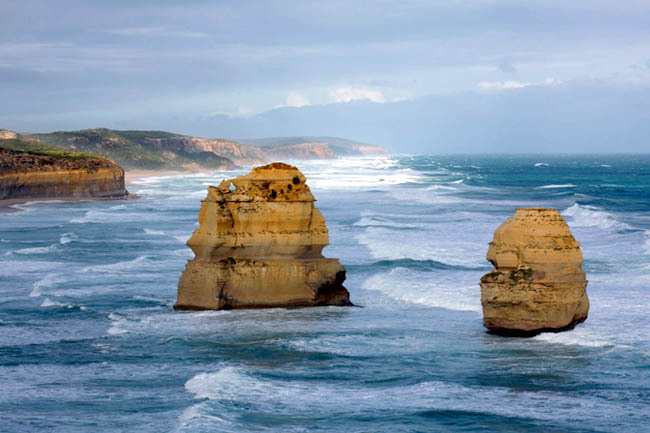 A self-drive or day trip from Melbourne city to the Great Ocean Road will promise you a scenic drive of gorgeous coastal scenery and beautiful landscapes of the legendary formations of the Twelve Apostles. Let’s not forget about the food and wine – from the freshest seafood, award winning ice creams, cheese, chocolates and pastries, all found in the different restaurants and cafes you will drive past. If you are looking for a gourmet trail. – A leisure drive of about an hour from Melbourne to Torquay, known for its surf beaches. – May stop at nearby Anglesea and take a detour to the golf course, famous for kangaroos roaming around. – Or stop at Bells Beach, which is home to the world’s longest running surfing competition. 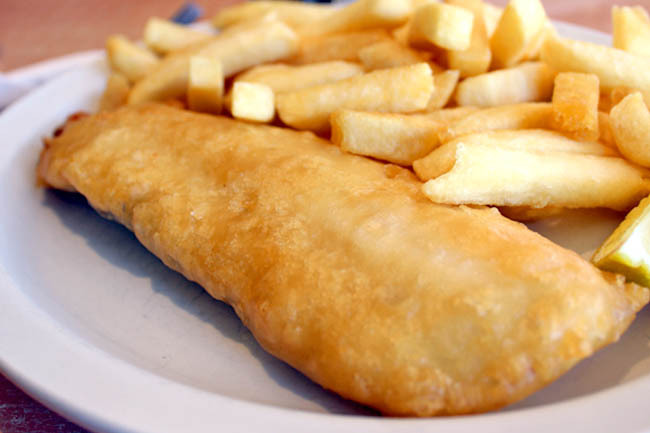 – Coastal town of Apollo Bay (or Lorne) for a delicious lunch of fresh Fish and Chips (Melbourne to Apollo Bay takes about 3 hours). – Visit iconic Cape Otway Lighthouse, mainland Australia’s oldest surviving lighthouse. 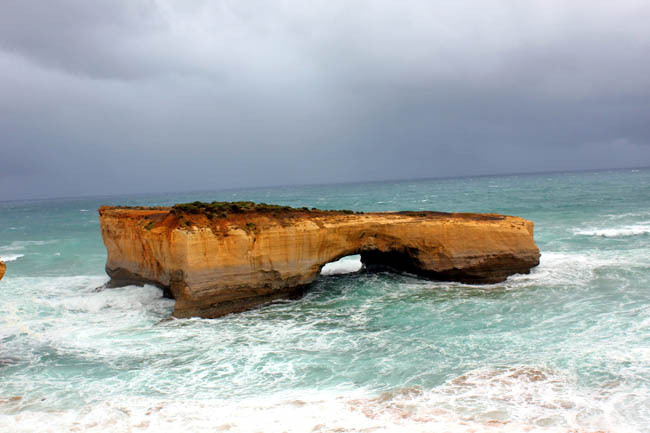 – Upon reaching the 12 Apostles, explore the Port Campbell National Park to view the famous rock stacks. – Loch Ard Gorge for a stroll along this historic beach known as the ‘Shipwreck Coast’. – Seaside village of Port Campbell to stop for an afternoon coffee. The seaside town of Anglesea is between the coastal towns of Torquay and Aireys Inlet. This was a short stop at the Anglesea Shopping Village where there were about 7 to 8 shops, some selling surf wear and souvenirs. Had a chicken pie at Offshore Café. 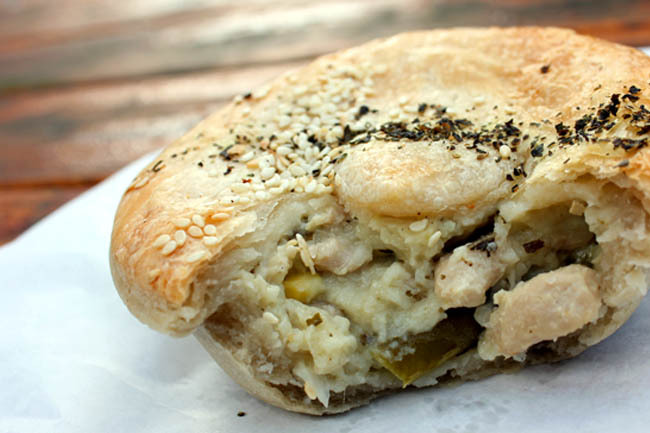 Never really had a bad pie in Australia, really. 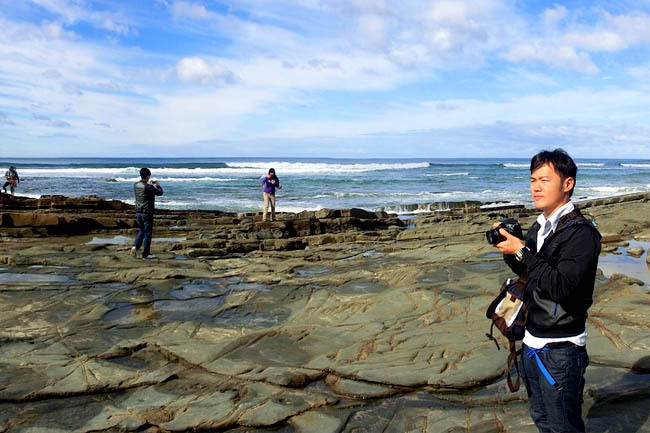 Apollo Bay is a major stop for many on a Great Ocean Road Tour, renowned for beaches and water adventure activities. 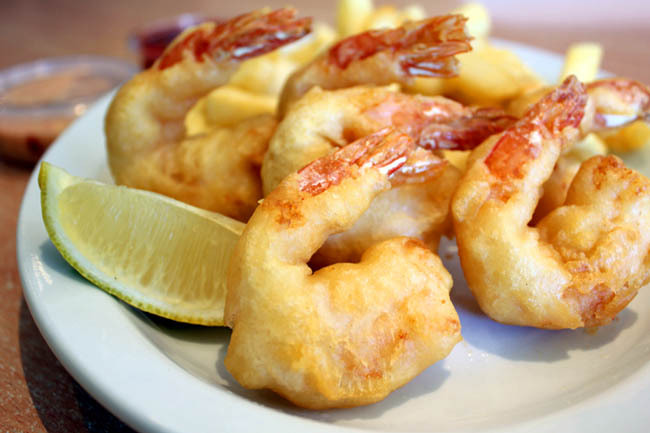 Many of the restaurants such as The Vista Seafood Restaurant, The Apollo Bay Fishermen’s Co-Op, Sandy Feet Cafe, Chill @ the Bay, are known for their fish and crustaceans caught by area fisherman. 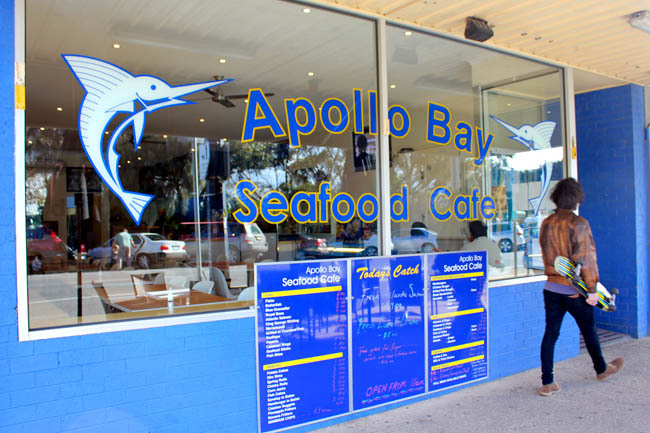 I chose to dine at Apollo Bay Seafood Café, a no-fuss no-frills restaurant famous for their fish and chips. Price is inexpensive (at least to me) and portions are big, with varieties such as Butterfish (AUD$6.00), Barramundi (AUD $8.00), Prawns (AUD $2.00) and Scallops (AUD $1.80). A Fish and Chip Pack with 2 Blue Grenadier, potato cakes and crab sticks is quite a value at AUD $18.00. 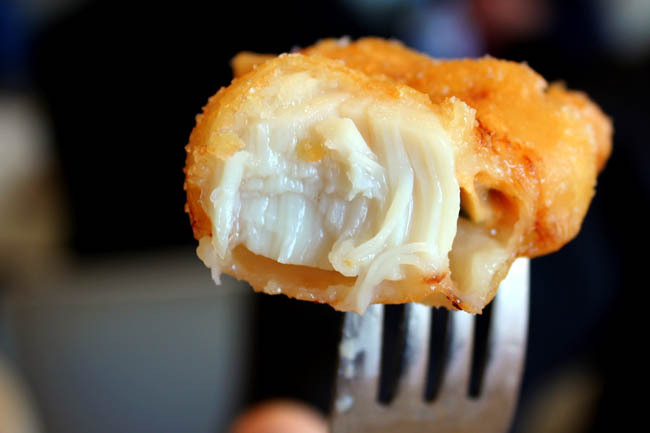 You can have your seafood grilled (all fish is dusted in rice flour only) or batter-fried on the spot. Loved the Fish and Chips and Scallops, lightly battered, crispy yet non-greasy, all fresh and tasty. The weather was cold and I was craving for ice cream. (Ice cream during autumns and winters are fab.) When I walked into this Ice Cream Tub shop, I was astonished to see the number of awards framed up and hanging on the wall. 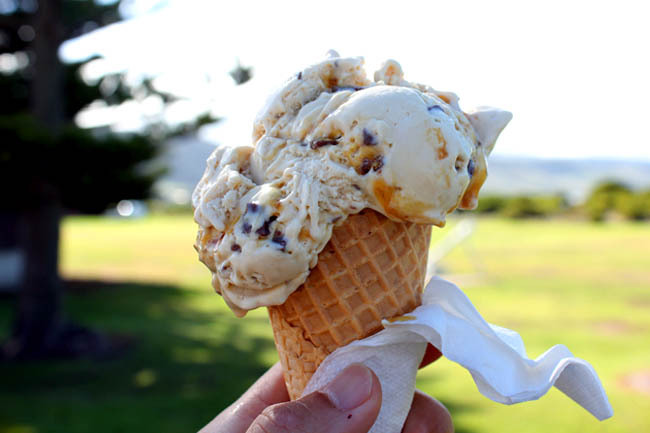 Turned out that this Dooley’s Licorice Ice Cream was named Champion Ice Cream at Dairy Australia’s 2013 Australian Grand Dairy Awards (AGDA), and also received the inaugural Premier’s Trophy at the 2010 Royal Melbourne Fine Food Awards. 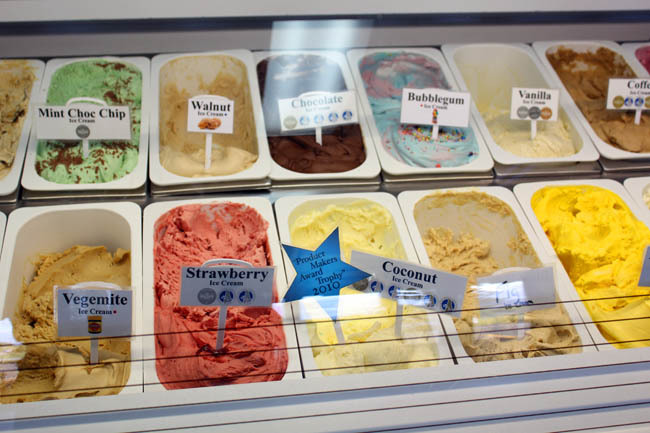 This ice cream is made daily on the premises by Dooley Milner and his daughter, churning out 300 litres of ice cream every 24 hours. It was one of the best ice cream I ever had in my life! Get the Premium Honey Malt Ice Cream, rich in flavours, smooth in texture, with creaminess that would leave you lingering for more. If you are up for some vineyard life, two wine regions are situated at either end of the Great Ocean Road – the Geelong and the Henty wine regions. 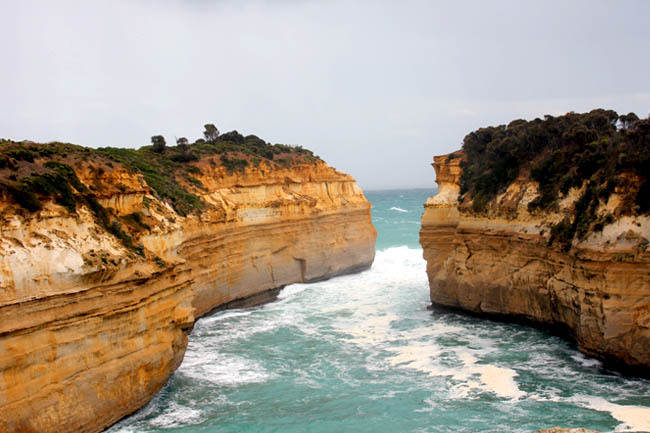 The Great Ocean Road self-drive is indeed one of world’s great coastal road trips, with breath-taking views and mouth-watering local delicacies. *This entry is brought to you by Tourism Australia. Celebrating Australian Food with Tourism Australia. To find out more, check out the best of Australian road trips. Get review. Seafood Cafe family pack is good value and Dooleys Ice Cream is pretty awesome. Do you know how much a day-trip out of Melbourne would cost? Thanks! Hi Gregory, a day-trip (for packaged tour on a bus) should cost about anything from AUD$80plus to say AUD$100. There are some 2-3 day self-drive packages online (which includes car hire and standard hotel) for about AUD$220 plus. Tell me how your trip goes! This must be a great treat for yourself to have a visit with this heaven-like places while eating the most delicious delicacies and foods that they offer. I wish I could try this.